Here's an image art piece of The Savage Savage, a character who was a looney hitman Tim created some years back. Now its an unhinged looney synthetic hitman actually based on Tim. 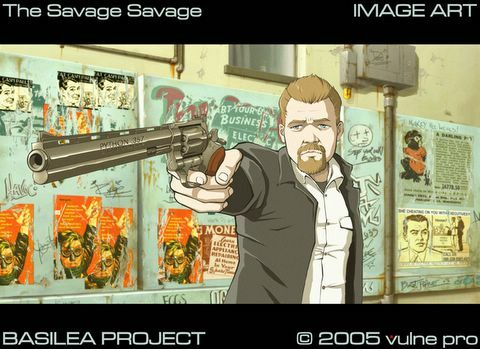 Here he's sportin' a bigass Colt Python 357 magnum, old school.